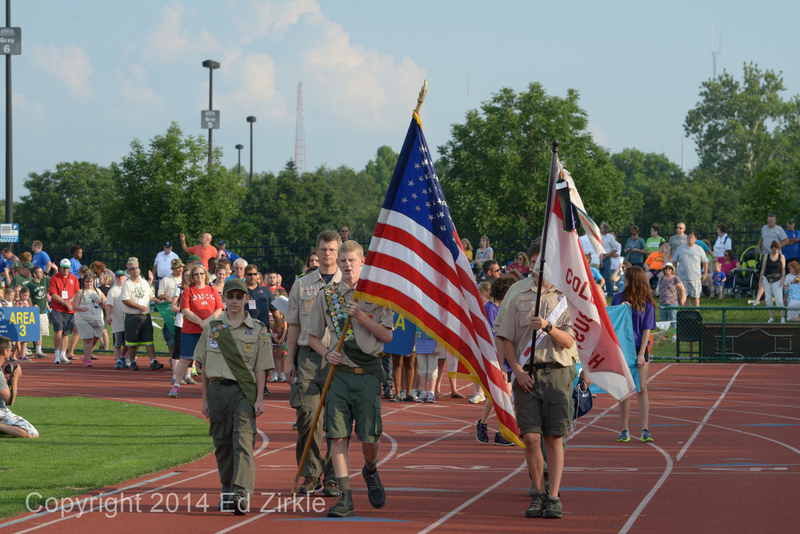 Special Olympics Ohio Summer Games 2014 with track action and opening ceremonies. This is the 43rd time The Ohio State University has hosted the games. Jesse Owens Memorial Stadium saw 2500 SO athletes, 350 Masons and other walking into the stadium and later local and state law enforcement offices on motorcycle, bikes and running accompanied the torch to light the cauldron and start the games.